Some English grammar can be really confusing. So, I decided to write this article to point out some grammar mistakes that cause much confusion, and also how to get them right. I’ve made all of these grammar mistakes before, which is how I got to write this post, anyway . 9 Most Confusing Confusions in English Grammar! Wrong: He sat between you and I. Correct: He sat between you and me. I now fully understand this rule once I took an English lesson about subject and object pronouns. So, here is a table of subject and object pronouns. So, if you are using a pronoun as a subject, use a subject pronoun. Same thing on the objects. It’s “between you and me” because “you and me” is the object of the preposition between. It’s “I know him” because “him” is the object of the verb “know”. It’s “William and he read” because “William and he” is the subject. Whom is an object, so that is the answer . Hope I’ve made it clear =) . 3. “Than me” or “Than I”? Wrong: He runs faster than me. Correct: He runs faster than I.
Ahh, this is one of the mistakes that I have been frequently making last time . “Than” is a conjunction, which introduces a subordinate clause, so the subjective pronoun “I” is used. See usage note. The easiest way to make sure this is right is to make the sentence “long”. “He runs faster than I” becomes “He runs faster than I run”. “I run slower than he” becomes “I run slower than he runs”. “Jon gave Dan more apples than he gave me” –> “Jon gave Dan more apples than me”. 4. 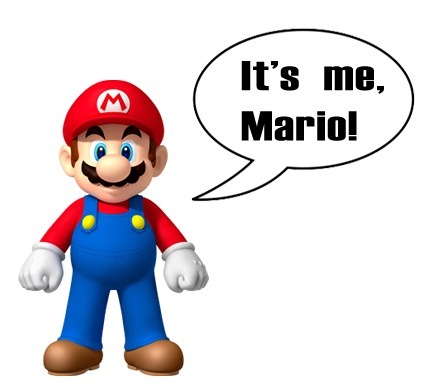 “It is me” or “It is I”? 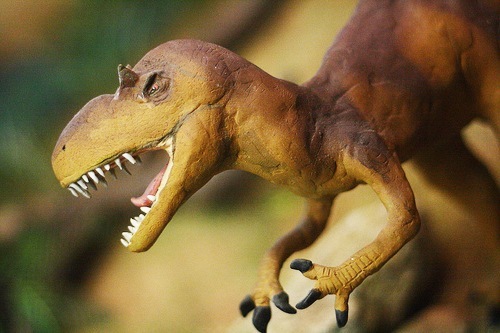 Wrong: It is me, the great tyrant Tyrannosaurus! Correct: It is I, the great tyrant Tyrannosaurus! It is important to note that “is” is a linking verb, meaning it renames the subject with a subject predicate. Now, normal transitive verbs have an object. (He sees me) Me = object. Linking verbs have subject predicates instead. (That guy was I) I = subject predicate. You can see that “subject = subject predicate”. A dog = a great pet. That’s why they are called linking verbs; because they link two subjects. And since linking verbs link to subjects, subject pronouns must be used. So that’s why it is “It is I” and not “It is me”. I hope you get what I’m saying. Unfortunately, I think Mario will never get it. Wrong: Please volunteer to bring some food for the party, i.e., fries, nuggets, and chips. Believe it or not, last time, I thought i.e. and e.g. can be used interchangeably! But I was wrong. i.e. and e.g. have different meanings. To stay healthy, eat vegetables, e.g., spinach. <— Here I used an example of a vegetable. I love to eat the vegetable that I like the most (i.e., carrots). <— Here I used i.e. because it clarifies the “vegetable that I like the most”. I cannot use e.g. because there is no vegetable other than that. This is perhaps the most common spelling mistake ever. Wrong: Being struck by lightening is a shocking experience! Correct: Being struck by lightning is a shocking experience! The present participle of lighten. e.g. I was lightening the load on my camel because it was exhausted. 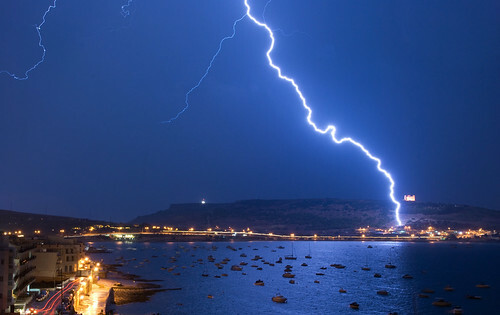 A streak of static electricity through the sky, usually accompanied by thunder. e.g. You got struck by lightning? That must have been a shocking experience! The arrangement of light, especially in photography. e.g. The photo was dull because the lighting wasn’t good enough. 7. “If I was” or “If I were”? Wrong: If I was an elephant, I would give you a ride. Correct: If I were an elephant, I would give you a ride. Wrong: If I were rude, I apologize. Correct: If I was rude, I apologize. “If I were” is more for situations when you are imagining things, usually followed by a sentence on what you would do in that situation. If I were you, I would read more books about animals. If he were an animal, he would be a parrot! “If I was” is more for things that could have happened in the past or now. Here is an example of the differences between “If I were” and “If I was”. If she was hardworking, she would be a famous singer by now. <– I’ve only met her once and all I know is she wants to be a famous singer. If she were hardworking, she would be a famous singer by now. <– I know her very well; she wants to be a famous singer but she’s very lazy. Conclusion: “If I were” is for imagination. “If I was” is for things that could have happened. Oh dear. These 3 words are perhaps the most confusing as some parts of the three words are parts of each other. Lie has two completely different meanings. The first meaning is to rest in a horizontal position. The second is to bear false witness. Lay means to put into a position of rest or bring forth eggs. Lie down – lie, lay, lain. Don’t lie to me – Lie, lied, lied. Lay eggs – lay, laid, laid. That’s why they are confusing! They sound similar and you can easily have them mixed up! Here are some examples of common mistakes when using those words. Wrong: I have lied on the grass all morning. Correct: I have lain on the grass all morning. Wrong: I laid on the couch. Correct: I lay on the couch. Remember that lie (don’t lie) and lay are regular verbs, which mean they add the usual suffix “-d” to form the past tense (lied, laid). Their past participles (have lied, have laid) are the same. 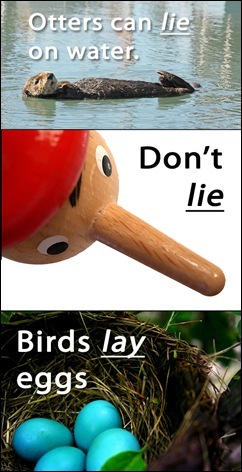 Remember that the word lie (lie down) is the most complicated; an irregular verb; doesn’t use “-d”; past tense is lay, and past participle is lain. Remember that the word lay is the only transitive verb – You can’t “lay” on the bed; you must lay something. You can lay yourself on the bed, though. This is probably one of the most confusing confusions in grammar! Whether to use bring or take all depends on the perspective. You use take when the item is going away from the perspective and bring when the item is coming to the perspective. But still, it can be confusing. So, use substitutes instead. I hope you’ve enjoyed my post! I hope that you are not confused now. LOL . So, have you ever made the grammar mistakes above? Please share your experience in the comments below. I know I’ve made every single one of them before. Hi Gloson, Thanks for taking the pain to write all about most of this great mistakes that we normally make when in English. Really great post and clarifications of some things about English language. English is the general language and the better you are at it the better it is for you. I just tweeted and commented on your post on Blogengage, I hope you emerge a winner. Thank you very much for dropping by! Yes, I agree. English is a language that we all must be good at because it is the universal language. And thank you so much for commenting on my post and retweeting it! I really appreciate it Oni! Learning these thing from a little kid is really unique for me but i am ejoying it, nice post Gloson. I sometimes slip up on these grammar pointers too. Thanks for sharing the detailed breakdown and have a wonderful day! Yeah, me too. I still slip on these rules sometimes, even though I might have written this post. LOL . Thank you very much Ryan! You have a great day too! Terrific post! Having English as second language this post is a gem for me. Good to know the full reasons of the 3, 6 and 7! Gera@SweetsFoodsBlog´s last [type] ..Interviewed by Ileane of Basic Blog Tips! Thank you very much for the votes and RTs! I really appreciate it and I’m really glad you like my blog posts! Mrinmay Bhattacharjee´s last [type] ..Satellite Image of India as on Diwali Day 2010! Hi Gloson! I haven’t visited your blog in awhile and I am sorry for that. This entry made me smile. :) But you always make me smile! 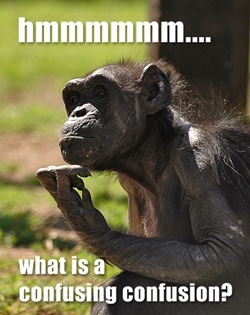 There are alot of “confusing confusions” in the English language but I think you do very very well. I admire anyone who learns a second language. I tried to learn Spanish, but I wasn’t very good at it. Most of these things I do intuitively after speaking English for 44 years, but I make mistakes sometimes too. Thank you for the refresher lesson. That’s ok. So nice to see you again Roni! Yeah, I make grammar mistakes too, and I may slip on those rules even after writing this post. Haha . Thank you very much for the kind comment! I really appreciate it Roni! This is some really cool stuff little dude! As a non native speaker I can say I think I committed most of the crimes mentioned in my lifetime so far …. Thank you very much Pawel! LOL. Don’t worry. Everybody makes grammar mistakes from time to time . I just got put in my place by a 14 year old Malaysian kid! AAAAARGHH. I will call you MC Gloson. I’m not 14 though. I’m almost 13 . I’m glad you like my post! An amazing post, very nicely explained. By the way, I am also confused between “in my opinion” or “according to me”. I hope you clear my confusion. Just don’t use “according to me” when expressing your opinion; use “in my opinion”. You can use “according to Peter” or another person’s name, but never “according to me”. You can say “according to my research” or “according to my understanding”, though . e.g. According to Peter, all birds fly. However, according to my research, there are birds that can’t fly. I recently moved from the UK to live with my Wife here in Montreal, Canada. The language they use here is Quebecois, a form of French and I am having huge difficulties in learning the language! Very confusing! Good to see you are doing well with your English though! Keep it up. Thank you very much! Cool! I’ve never heard of that language before. Haha! Don’t worry. Learning new languages can be hard and I think the easiest way to pick it up is the listen and use that language. Haha! Thanks Ben! Everyone, not only Americans, make English grammar mistakes! I liked to read some of the common mistake people make in english. I read them carefully and found some of the mistakes I was doing. Thank you very much! I’m glad my post has helped you! You’re amazing, Gloson. I must say even I could have made all those mistakes. I’ll try to remember every single one of them, thanks to the examples you provided. By the way, all the best in your blogengage submission. Nice to see you drop by here! Haha. I think everybody has made those mistakes. I’m glad you like my article! The results for the blogengage contest have come out. My entry won the 3rd place! Hahaha, thanks a lot Bryan! The “lie” thing drove me nuts too . I’m glad you found my post easy to understand! I am really happy to see that a kid like you teaching the most common mistake bloggers and even other bloggers make in grammar. Thank you very much Jayant! I know all these mistakes because I have made them many times before. Then or Than is also a hard one to get used to defining from time to time! Oh, those two. Yeah, those two words are frequently confused too. I guess one way to remember them is to remember that “Then” is for time because “e” looks a little like a clock, and that “Than” is for comparison because “a” is bigger than “e”. Now I really discovered the difference between i.e. and e.g.. Thanks a lot and congratulations for your great work! Thank you very much and you’re welcome! I’m really glad I helped you figure out the difference between i.e. and e.g.! Have a great day! Yes I have made grammar mistakes in my posts…once I got featured on Reddits Front page for makin a grammar mistake…. Huh !! It’s really a great post. In my school days i used to skip the grammar class by sleeping. :P It’s really hard to learn it, but i need to learn it. Without English it’s really hard in this world and i am working on it. I learned few things from this post . Thanks for the share. Thank you very much! LOL. Agreed, grammar can be really hard to learn, and I’m really glad my blog post helped you! Wow! This is really amazing. You are such an incredible creature of God! @ having a great blog like this. Awesome! BTW, These are also my common mistakes in my English grammar. I usually have faulty on the proper usage of “I” and “me”. Thanks anyway, I’ve learned a lot today. Also, Congratulations for winning the blogengage contest 1. I joined the blogengage contest 2 with my entry http://bit.ly/gvec4K . Please check it out and have your comment and vote for it. I would really appreciate it. I thank you. I bookmarked your site in my toolbar. Thank you very much for the kind words! I’m glad I’ve helped to clear your confusion. Haha . Thanks for bookmarking my blog! Good luck on the contest! I’ve left a comment on your entry and voted too . Thank you young man. I use to make mistakes in English. Know with your blog post I will be able to correct them for once and all. It is really a great post. Great job. As English isn’t my native language, I found your post rather interesting and would like to share it in my blog. Although I seldom make mistakes like these, this post was rather interesting for me. By the way, good blog you have! Well done! I think you are right sometimes English Grammar can certainly tend to be pretty confusing. For example, the lie word…It can denote different things , people really do tend to get confused with words like that. This is an extremely informative post. English tends to have a ton of rules, and then all of those rules each has a handful of exceptions. I give anyone credit who has picked it up as a second language. I’ve broken many of these tips myself, and I have been speaking it all my life. Well done! PS Pointing out Mario was hilarious. Thank you so much! I’m really glad you enjoyed this post and found it hilarious. LOL, agreed. English is indeed a complex language. I myself have broken the “I” after writing this post. Haha Guess I still need to work on my English. Haha… Very common and confusing things… thanks for the useful post. Nice Article. This is very simple common confusion words. But you have written a very long post and it is excellent to people who are learning English Grammer. Gloson These tips were really amazing… Thanks a lot mate..
It’s s refreshing to see this post! I’m sure you’ve had no end of people tell you just how common these mistakes are, even for native English speakers! My mother was a stickler for grammar, and even though I never knew the actual rules for these specific examples, she would give me the substitutions to test whether I was using the proper language or not. Haha, thank you very much for the nice words! I’m very glad you enjoyed this post and found it useful. Creative post. I was fighting with grammar from several years. And this article is full of good basic information of grammar only. Thanks for sharing. Nice post covering some very common mistakes. With the “than I” vs. “than me” problem, I guess it depends on whether you are treating “than” as a conjunction or a preposition. Although our teachers would have always told us it’s a conjunction, with so many young people treating it as a preposition now that may well become the accepted use in the future. Grammar use changes over time and we have to accept that whether we like it or not. With “bring and take”, I think it’s easier to think of them in the same way as “come and go”. If you are going somewhere then you take something with you. If someone is coming to your house then they are going to be bringing something. Agreed. Grammar rules do change. Good advice on “bring and take”. It really is much easier to think of it that way. Great and detailed post. 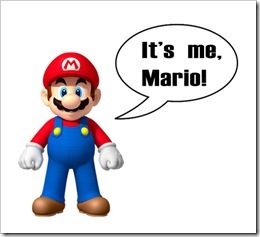 I wondered even Mario got pt. 4 wrong. Even I did it wrong. Thanks for the useful information. Nice job, although many argue about so-called “correctness” after usage takes over. Some of those “mistakes” are so commonly used, they prove that the language is changing. I’m speaking of #3 and #4 where “it is I” and “he runs faster that I” maybe correct by traditional rules of English, but they are no longer so uncommon as to be considered substandard. In fact, to speak “correctly” often makes you seem pretentious. Not all of these examples deal with grammar. Some are spelling mistakes and some deal with vocabulary (lie/lay). That is kinda ironic… Hee hee. Thanks for pointing that out. I guess that even writers who write about grammar mistakes sometimes make grammar mistakes on the same post on which he is writing about grammar mistakes! lol. Yeah, I agree with you. The language is changing, and new words (and also rules) are being invented. Hmmm… quite true, but grammar does deal with the correct usage of words, doesn’t it? Wrong: We are cancelling due to bad weather. Right: The cancellation is due to bad weather. Wow, I never knew about the “due to” mistake. Thank you so much for adding to the post. I really appreciate that. What a great post Gloson! So many people who use English as their first language never use the above technicalities correctly. I find that at times, I write my posts and use incorrect grammar because it has become so widely accepted. When I do, it gives me an emotional hit because my mom was a self proclaimed grammarian. She gave me a hint when I was young and that was to finish the sentence in order to use the correct word. e.g. Who is going? He and I or him and me? If you finish the sentence, you see that…He and I are going. -not- Him and me are going. That was probably not the best example but you get the idea!! Great post my friend!! Very nice of you to drop by! Haha, yeah, perhaps when these broken rules are becoming more widely accepted, they may become new rules! I get it. It was very nice of your mom to give you lessons. Haha . Thank you very much, I’m glad you enjoyed the post Claudia. You have diverted our attention to common mistakes that we often do in grammar.. Thank you for writing this! English isn’t my native language and I’m not that good in it so I often make mistakes. I’ve always thought that it’s “It’s me” and “It’s I” sounds wrong to my ears. That’s how deep the wrong grammar is in my brains. Thanks for the article Gloson. I’m afraid to say it was needed and I thought some of the ‘wrongs’ I was using were correct, such as “If I was an elephant” still looks right to me I’m going to keep the page open and restudy it because I still haven’t got my head around it all. Much needed and appreciated. Hey! Thanks a lot man.. It really helped me.. I have always checked my grammar by saying things aloud in my head and choosing whichever “sounds” the most accurate. Horrible, I know! Heh? This was a wonderful post though, which really helped me understand why these sentences are a certain way. Aha, such an inspiring kid. Would really love to meet you one day. What a great guide. As someone how never took any formal class to learn to write in English, I do make mistakes, though as soon as I learn of them, I go back and fix the problem. One of the biggest confusion I had was about the “I were” and “I was”. And even my girlfriend who is a native English speaker wasn’t able to get me to understand it. “….“If I were” is more for situations when you are imagining thing…” That makes it clear as a day for me Gloson. Thank you. These are really the common grammar mistakes. Notice that mostly it is the use of “I” and “me”. I little confusing when used in a sentence. I feel like reviewing my English grammar while reading the post Thanks for the explanation Gloson! You are truly the best kid! 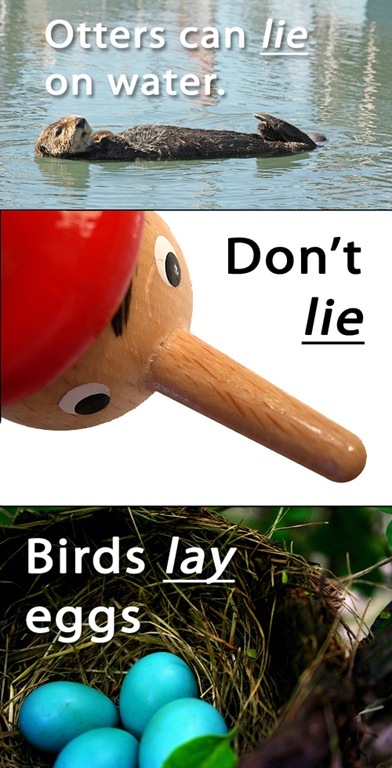 I must admit that after years studying English as a second language, I sometimes make some of the mistakes you listed above, the “lay, lie, lie” is so confusing. I think so many people do these mistakes like i was doing before reading your post. Its a great guidance and creative work. All points are very confusing but 7 and 8 are the most common mistakes and confusion which every one do unconsciously. Your post is really useful. It proves me a lots. Just this morning, I had an argument with one of my classmates who always insisted that “between you and I” is the correct saying. The situation is “This is the secret between you and …”. And we had to choose the correct answer for the word in blank. And she chose “you and I”. Now I have to make a buzz on her Y! to show her this link. There’s a Lady Gaga song called “You and I”. Maybe she was confused by this song. Wow I can’t think you’re so young Gloson when I first click to this page. Really impressive post Gloson, people normally do these mistakes and after reading this i am sure it will help many people.